By: Mary Dodge Woodward; edited by Mary Boynton Cowdrey; With A New introduction by Elizabeth Jameson. Mary Dodge Woodward, a fifty-six-year-old widow, moved from Wisconsin with her two grown sons and a daughter to a 1,500-acre bonanza wheat farm in Dakota Territory's Red River valley in 1882. For five years she recorded the yearly farm cycle of plowing and harvesting as well as the frustrations of gardening and raising chickens, the phenomenon of mirages on the plains, the awesome blizzard of 1888, her reliance on her family, and her close relationship with her daughter. She noted "blots, mistakes, joys, and sorrows" in her "olf friend." This Borealis edition brings back to print a valuable record of a frontier woman's life. 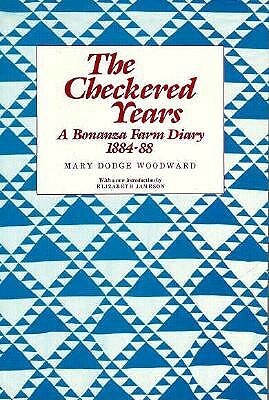 Author: Mary Dodge Woodward; edited by Mary Boynton Cowdrey; With A New introduction by Elizabeth Jameson.